WELL DONE ARJAN AND DIDI - ALL THE HARD WORK PAID OFF!!!! THANK YOU SOFIA OLSSON FOR ALLOWING ME TO USE YOUR PHOTOGRAPHS FROM THE WORLD DOG SHOW. 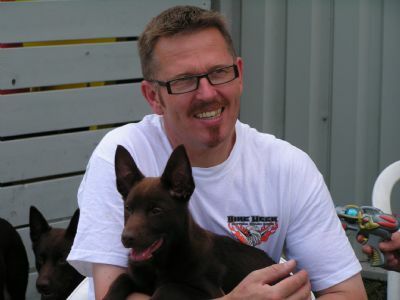 Chismo was imported into Holland by Arjan and Henny. This lovely boy is the son of one of our greatest winning Kelpies - "Poss". As Arjan had a serious motor bike accident - Arjan placed Chismo to live with Masja and her family so that he could be trained and shown. According to Masja Chismo is the sweetest dog in the whole world. Masja and her family love Chismo very much and now compete with him in many disciplines. Chismo was a winner at the big Winner Show in Amsterdam where he won his puppy class. 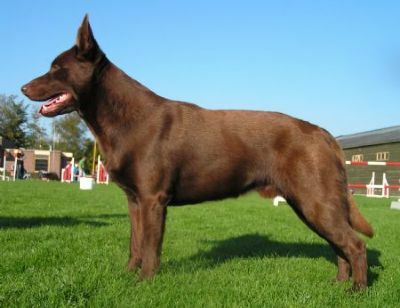 At the beginning of September 2008 Chismo became a Dutch Champion and was also the the Best of Breed at the same show as a young dog. 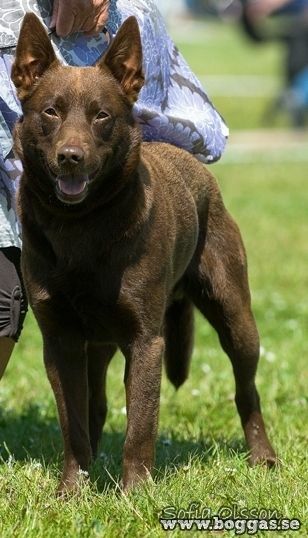 Chismo does lots of dog sports, flyball, agility, doggy dance and sheep herding.